Hello once again, I’m Don Milne, your ROADTRIP-'62 ™ traveler. We are nearing the end of our first route; traveling US-23 in America as it was in 1962. It ran from Mackinaw City, Michigan to Jacksonville, Florida, and we’re leaving today from Eastman, Georgia. That’s eighteen days out from our beginning point and there are no freeways ahead of us today. This is a day of travel through the fairly flat farm country of the Atlantic coastal plain, as we head towards the Atlantic Ocean itself. As we continue this virtual roadtrip, I want to remind you that if you see anything you like, get out on the road and enjoy it in person. A virtual roadtrip may be fun, but there's nothing like the real thing! At any time, click on an underlined word below to learn more about the places on the trip. Time to buckle our seatbelts and go! 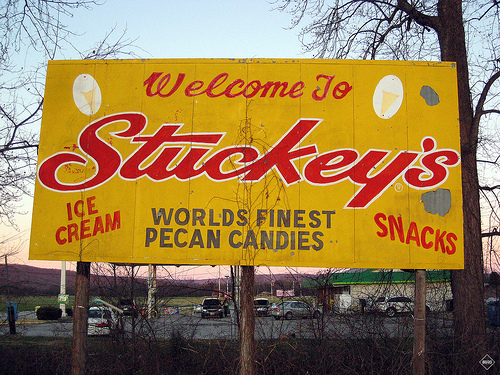 Eastman, Georgia is where another traveler’s icon originated: Stuckey’s. They are best known for pecan candies and gifts and were founded here by W.S. Stuckey, Sr., who opened a pecan stand in a lean-to roadside shed in 1937. He did well because of Florida-bound tourists driving US-23, much as we are. The pecan divinity, flavored pecans, and other candies helped the company flourish, but the most famous confection was Stuckey's Pecan Log Roll. By the 1960s, the teal blue shingled roofs of Stuckey’s were nearly as numerous as McDonald’s golden arches later became. Besides candy, they also sold gasoline, snacks, and lots of souvenirs. I think I first stopped at a Stuckey’s in Taccoa, Georgia or Tallulah Falls, back in the mid-1970s just before the near-demise of the chain. They were bought by Pet Foods back when big companies tried to get bigger buying things they knew little about, and most of those attempts failed. By the early 1980s, what had been over 350 locations had shrunk to fewer than 75. Today, they’ve re-expanded under the ownership of a new generation of Stuckeys who bought the company back. In Eastman, you can see the Stuckey Candy Plant and tour some pecan orchards and several homes. Unfortunately, you can’t stop for breakfast or souvenirs because there is no store here any more. The original building exists but is under some other use, and only a monument on the site reminds you of Stuckey’s. So much for that Pecan Log Roll with its fluffy white center I was hoping for. In Eastman, we’re joined by US-341 and we continue together through Hazelhurst, Georgia. Once again we’re driving through mostly flat farmland, including the pecan orchards around Eastman. Something unexpected awaits us in McRae, Georgia at the intersection of five state highways in downtown. The location is called Liberty Square and the county erected a replica of the Statue of Liberty in 1986. Though it’s too new to be of interest for our tour, but you can’t miss it. The statue was built locally of a variety of materials and is not all metal like the original. It’s about 35 feet high, or one twelfth of the size of the original. To carry the liberty theme a little further, they also have an old fire bell refurbished to look like Philadelphia’s Liberty Bell. At Liberty Square, we turn north out of town a bit on US-319 for a stop at Little Ocmulgee State Park. This park, established in 1935, was originally a resort with cottages. It has expanded the resort facilities to include a golf course and 60-room lodge, and now also has a number of hiking trails in Gum Swamp and surrounding forests. As usual, I’m here for the hiking, though you may wish to fish the lake, swim in the pool, or golf. The trails run through a variety of habitats, including longleaf pine piedmont forest, and swamp ecosystems. 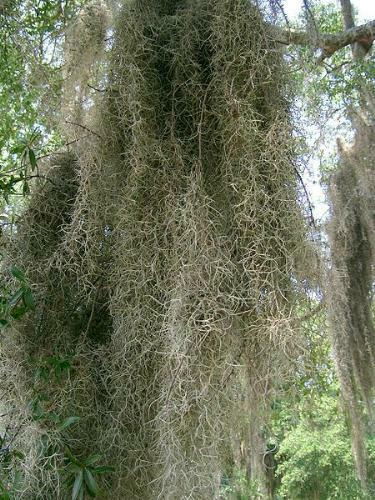 Spanish moss hangs from the trees, there are several boardwalks, and lots of wildlife. You may even see alligators along with the turkeys, tortoises, magnolia trees, and waterfowl. The trails are seldom crowded. If it’s been too long since your last canoe trip, you can even rent boats for the two-mile canoe trail within the dam-created Little Ocmulgee Lake. And speaking of a lake, fishing is good. Largemouth bass, crappie, bluegill, and redear sunfish (shellcrackers) are the main species. The world record for the biggest largemouth bass ever caught is held by George Perry, here in Telfair County. In 1932 he caught one weighing 22 pounds, 4 ounces. Try your luck! Though US-341 stays with us, US-319, US-441, and US-280 merely cross our path in McRae. We previously traveled some 75 miles with US-441, from Dillsboro, North Carolina to Cornelia, Georgia. From here it runs south to Miami, Florida. US-280 runs only within Alabama and Georgia, ending just a few miles short of the Atlantic Ocean. The last of these, US-319, begins only 76 miles north of here, at Wadley, Georgia. We next arrive in Lumber City, Georgia, known for its artesian wells that have three different aquifers as their sources. These three water-holding layers of rock sit one over the other, with the Principle Artesian (Floridian) Aquifer on top. Since they’re wells, I doubt we can see anything on the surface, but if we could the typical yield of 1,000 to 5,000 gallons per minute would sure look interesting! On the surface, about all we can notice are sand ridges forming low hills, a legacy of when this part of Georgia was a sea coast. At Hazlehurst, Georgia, we cross US-221, a completely inland route. Here also, US-23 finally goes south on its own…for the next 19 miles anyway. It will vary between two and four lanes the rest of the day through the cotton and hay farms of southern Georgia. In 1962, we would have seen more tobacco farming, as the Hazlehurst Tobacco Market was historically one of Georgia's strongest. All the big tobacco companies such as R. J. Reynolds, Leggett & Myers, Brown & Williamson, and Lorillard bought at either the Planters Warehouse or Farmers Warehouse. US-23 has a certain symmetry which becomes evident here: the first part traveled through rural areas of small towns on a 2-lane highway, and so does this last leg. Everywhere else in the middle of the country has enough traffic that the highway has required widening to at least 4 divided lanes. Much of that widening and freeway construction occurred after 1962. In Hazlehurst, some places we could have seen in 1962 include the Jeff Davis County Courthouse, built in 1905. It’s the first one built of concrete blocks in Georgia, though it’s hard to tell because the blocks are hidden beneath a stucco finish. The Hazlehurst-Jeff Davis Historical Society Museum, in the Pace House, is also on the National Register of Historic Places. This small cottage houses a collection photographs, books, newspapers, and artifacts covering the history of the city and county. The house was built in 1900 but the Historical Society didn’t open it as a museum until about 1996, so it’s too new as a museum. But, as there is little else to see on the road today, let’s stop in and look at some history. It’s actually a good idea to spend a few moments driving around these small towns like McRae, Lumber City, Hazlehurst, and Alma. Though you won’t see much of tourist attractions such as museums, natural features, or amusement parks, you will see a lot from 1962. That’s because small farm towns haven’t changed a lot since then. You’ll see mostly older homes and downtowns that still look familiar if you have an old photograph. Sometimes the railroad depots, courthouses, grain elevators and other major structures are still in place. If you’re really lucky, you may see some old advertising signs or a gas station that is still recognizable in its 1962 colors. Even trees along the streets are the same ones that have been there for over 40 years. Stop and take a few photos, stroll along the old streets, and stop at the local soft-serve ice cream place at the edge of town. Those often remain also, but with more flavors of ice cream! And since it’s lunchtime, let’s look for one of these sites in Hazlehurst. At the end of the 19 miles of travel on US-23 not shared with another US-numbered route, we come to US-1. This route has been written about for decades and also featured on TV shows, mostly just because it’s #1. It runs down all the Atlantic coast states from Fort Kent, Maine out to Key West, Florida, passing through the nation’s capital at Washington, DC. That makes US-1 the longest north-south US-numbered route. It’s rather far inland here, but on its way back to the coast in both directions. We’ll run south with it for the remainder of our trip to Jacksonville. Actually, US-23 has been paired with other routes all the way from Forsyth, except for the last 19 miles and the 18 miles between Cochran and Eastman. There would seem to be little good argument for having US-23 extend anywhere south of Atlanta! In fact, the history of US-23 finds that it was originally even shorter when commissioned in 1926. It always began in Mackinaw City, Michigan, but originally ended in Portsmouth, Ohio. In 1929 it was extended to Pineville, Kentucky and the next year US-23 was extended south to Atlanta. There it stayed until sometime around 1950, when the south end was finally placed at its present location of Jacksonville. We pass some different agriculture around Alma, Georgia, as this area is known as the "Blueberry Capital of Georgia." I hope there are some roadside stands for the blueberries. The end of the road tonight is in Waycross, Georgia. We have a lot of time yet today, so first I’m going to stop at the largest railroad classification yard in the United States. Rice Yard, on the CSX Railroad, is located here because railroad lines from six different directions meet here. The name of the city actually derives from this transportation hub, where the "Ways Cross." From colonial days when the ways were stagecoach roads and pioneer trails to today’s railroad network, Waycross has always been busy. Though the yard is too new for our trip, being opened in 1987, the railroads were all here. It’s named for W. Thomas Rice of the former Seaboard Coast Line Railroad and you can comfortably watch some of the action from the patio of the local Chamber of Commerce and Visitor Center, located in the old railroad depot. We probably could have arrived here by passenger train in 1962! I’m going to spend the rest of the day a few miles south at Braganza, Georgia, down in the Okefenokee Swamp. First stop is Laura S. Walker State Park, just to get a little sample of the swamp. It’s a small park of 306 acres, established in 1941 from eroded and worn out farmlands that were purchased by the federal government to showcase land conservation methods. We’re just going to walk the lake shore and nature trails, and if we don’t see any alligators, carnivorous plants, saw palmettos, or great blue herons don’t worry: we’ll have a better chance at our next stop. Good thing I bought some goodies at some of the roadside stands we passed, as I can stay for a sunset over the swamp before I head back to Waycross for a late dinner. The rest of the day we’ll be at Okefenokee Swamp and we’ll probably need that OFF we bought way back in Michigan, because there are plenty of mosquitoes here. Okefenokee Swamp Park is at the north entrance to the Okefenokee National Wildlife Refuge, on Cowhouse Island. The park was conceived and built by the local Okefenokee Association, Inc. and opened in 1946. The land was subleased from the U.S. Department of Agriculture through the State of Georgia, with the park initially including boardwalks into the swampland, a 75-foot observation tower, and only a minimum amount of landscaping. This opened up the park, whose name translates to the Native American "Land of the Trembling Earth", to tourists. Today there are more things to do, so let’s start with something unusual; a boat tour of the swamp. You can get tours ranging from 30 minutes to two hours, penetrating deep into the swamp to view wildlife. You may see one of the 27 species of snakes, or of course, alligators. You may even see an osprey flying with a fish gripped in its talons. I once saw this at Yellowstone National Park and it looks really strange. If you want to paddle yourself around, you can even take a day trip by canoe, but we don’t have the whole day left. After our boat trip, there are boardwalks and other trails to see other kinds of wildlife. There are several types of carnivorous plants, busy eating bugs. There are pitcher plants, bladderworts, and two types of sundews. The smaller of the two has tiny sticky traps laying flat on sandy soil. The larger type stands two to five inches high and can be found near the edge of standing water. These can even capture dragon flies. Besides these plants and lots of water lillies and wildflowers, keep an eye out for otters swimming in the lakes and canals. Maybe you’ll even see a bear, though they generally stay away from places frequented by people. Though the Okefenokee Swamp is a true wildlife refuge, we can also take the trails to Pioneer Island for a look at the recreated homesteads and the Wildes Cabin Museum. As I mentioned when we arrived, this whole area was farmland, so there were homesteads here. They were too marginal to be profitable and we now have the area as a park. As I said, I’m staying until sunset: see you back in Waycross later. As I drive around Waycross to find food and lodging, I see we cross two more US-numbered routes. What began as just a short Georgia-Alabama route in the original 1926 scheme, US-84 now extends out to Colorado. US-82 also begins in Georgia, and now ends at Alamogordo, New Mexico, near White Sands National Monument. What we see here today was different in 1962: the east ends of US-84 and US-82 were swapped in 1989. There are several restaurants downtown of the type that may have been here in 1962: Andrew's Cafe & Grill, Strickland's Diner, Mama's Kitchen and KD's Café. The sweet potato fries at KD’s get my vote tonight. As for motels, there are few to choose from. Names like Bel Air Motel, Almar Motel, Steve’s Motel, and Pine Crest Motel sound right, so let’s pick the best looking one. And now that we’re done for the night, it’s time to watch some TV again. 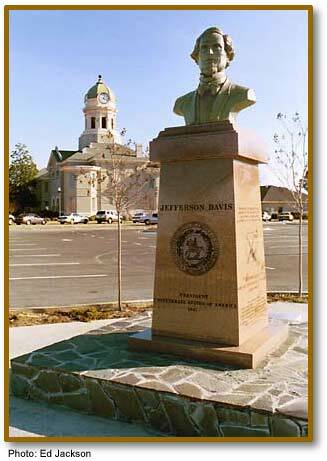 I found that actor Burt Reynolds was born here in Waycross in 1936 and by 1962 was working in television. During that year, he appeared in several episodes of "Gunsmoke" as Quint Asper, and an episode of "Perry Mason" as Chuck Blair. Burt also appeared in an episode of "Route 66" with only the first name of Tommy, and an episode of a show I don’t remember and never even heard of, "Everglades", as another character with only the single name of Trask. We may not find any of these on TV tonight, but I’m sure we could at least find the "Gunsmoke" shows on DVD and watch them. Still feeling like 1962 here!